geocat.ch is the metadata catalogue of Switzerland's geodata. Federal, cantonal and municipal offices as well as private firms use geocat.ch to publish metadata for their own geodata. Therefore, geocat.ch is the ideal platform for the search of geodata such as aerial photographs, heritage sites, natural hazards, earthquakes, etc. Metadata are an essential component for establishing and operating a geodata infrastructure. For this reasonwe provide, in the context of the e-geo.ch-programme, a portal for the creation and search of geo-metadata. The search application – which has been online since January 2005 – now has access to several dozen decentralised servers from various geodata producers and administrators in Switzerland. 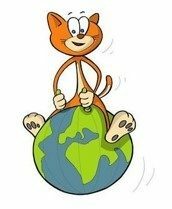 In 2009 the new geocat.ch has been released.